Resolved Guy Stanbury is trying to find out, for a chum, the in-service date for Windermere's National VHF/FM services. Windermere is listed on BBC Engineering Information Service Information Sheet 1919(23) dated March 1974. If you have any earlier transmitter lists they would be of interest to Guy and copies would also be appreciated for bbceng please. Martin Brown writes: "I can’t offer a precise service date for Windermere VHF/FM, but page 76 of the BBC Report and Accounts for 1971-72 mentions the opening of the Windermere station. So sometime during the year 1st April 1971 to 31st March 1972. John Hammond writes: "The lease agreement for the site dated 9/72 ... mentions TV and national radio services." Bruce Mann reported that, based on a reliable source, the service date of Windermere LRA, VR2, VR3 and VR4 was 1st August 1971. VR1 was added on 31st December 1995. 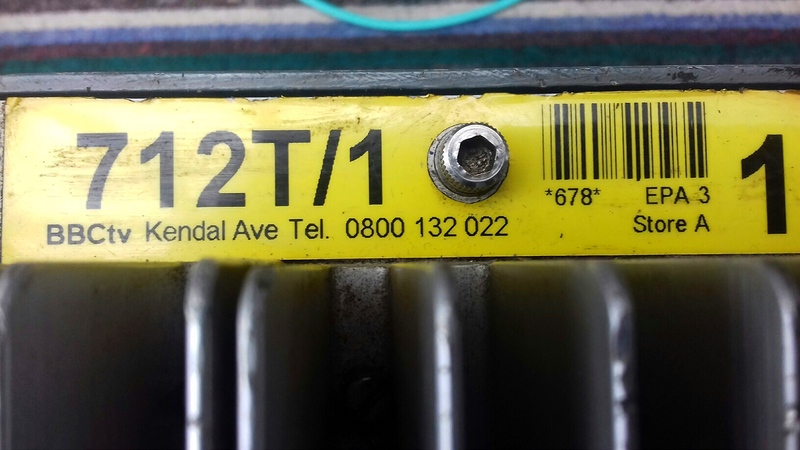 Resolved Gwil Jones writes: "I have acquired a Continental microwave audio and video link transmitter both originating from BBC Kendal Ave. As far as I know they were one of the main link transmitter used from the mid 1980’s. This particular unit was last tested by SIS in 2011. I have seen a few photographs of these units on your external members links and of course the operation of the unit is self explanatory, but there is a list of codes for a small display which will say “check” and then a number could be 1 or 4 and I am wondering if there is anyone who can shed some light onto what these numbers mean. I have had a search around and being bespoke to a small number of broadcasters I haven’t been able to find any information. Continental microwave has now long gone, and any information would be gratefully received." "Re your enquiry, I dealt with this kit from time to time. The 4 position switches set the operating frequency. Positions 1, 2 & 3 could be pre-programmed, and were probably arranged as their standard 7GHz channels A, B & C 7125, 7160 & 7312.5MHz. On position 4 the frequency was selected on the thumb wheel switches. I notice it is still set to their Channel D, 7347MHz. The output power was around 1.5 watts on a good day. I think the readout on the control unit was confirmation that the channel in use on the head unit coincided with that selected on the control unit. There was some telemetry on RF carriers both ways along the triaxial cable - I forget what frequencies were involved. The FM modulator at the first IF of 70MHz is in the control unit and that signal is sent along the triax - in addition to the DC powering the head unit. In the head unit it is mixed with a local oscillator at 730MHz to produce a second IF at 800MHz, before being mixed with the SHF local oscillator up to the output frequency. If you have a 70MHz FM demodulator you would be able to see video - but it may not look very good as it will be pre-emphasised - and covered in the sound subcarriers (6.8 & 7.5MHz) if they are switched on. Hope that helps." Resolved Graham Vine writes: "I bought the "cold war bunker CT80s" and they are of course in a rather sad state. It would be nice to renovate one or all the 4 machines but I don't wish to do damage in stripping them so I wondered if anyone had maintenance/repair information on them. They are all recorders and mostly complete - certainly enough parts for 3 out of the 4. I could probably create the missing PCBs if the rest of each machine was functional. It would be nice to create an original Radio 1 studio." Resolved - Information provided by Jim Harpur. Keith Wicks writes: I'm looking for information on bing tone. I remember we used to use this slowly pulsating signal before startup of the main radio networks in the early 1960s. I think it was described as the least disturbing signal to have to listen to for long periods. Does anyone know what the frequency and waveshape were, and are there any publications on the subject? I ask because I occasionally have the need for something similar and thought I'd build a generator. I'm hoping to find a circuit of a transistorised Bing Tone Generator, if such a thing was ever made, but a valve circuit would be of interest too. The bing tones were generated in LCR on the tone bay. They used the fixed 440Hz from a quality oscillator and the line fed 1000 Hz from the GPO (via ATA) as a sources. Other frequencies were added to identify each of the Radio Networks. A panel in each continuity was used to select what was required, and this joined the desk output by a “guarded” Key marked tone! As I recall we used 440 Hz 30 seconds for R4 and 250Hz 30 seconds for R3, R1 & R2 did not need them by the time the equipment was commissioned as they never closed down. The level to output could also be adjusted. There were also I think 440Hz and 900Hz 10 second versions used for identifying things like tape playbacks to producers etc. I think the fixed 900Hz was from a oscillator and was used by the recording channels etc.. There may have been other frequencies for other things, certainly something got added for stereo leg identification. Close down of a radio network was a strict schedule of silence and tones used to automatically close some transmitters not in receipt of PCM/Nicam digital signalling. Start up was the same, a period of a specific level steady tone started these transmitters. The Bing tone had several purposes, to stop “unguarded” hour reserves operating incorrectly overnight, to keep the transmitters turned OFF, to ensure the line monitoring equipment at the transmitters knew that the correct network was incoming, they allowed the noise floor to be checked without having to risk silence on the network and lastly because they came from the continuity suite itself it confirmed the whole network distribution was working. A side effect was that in an emergency the network could be reactivated from the continuity at any time during closedown period, normally R4. Resolved Pete Cooper writes: "I help out at Jim Austins Computer museum, this last wekend we took delivery of a BBC Mark III mixing desk, Simlar to the one on this link. When it arrived it had no documentation, and is missing some of the wiring looms that couple the mixer to the patch bay and on to the line amps etc, I was wondering if you know where we can get any of this data, maybe from the bbc archives etc, Inparticular, we would like operations manuals, and installation/ service manuals. Any help you can give would be most gratefully received." Piers Bishop responded: "I have a Mk3 desk (and actually use it) and I have spare schematics for it, plus circuits for most of the amplifiers etc. You can see it at www.facebook.com/herbertthestudiocat. I might also be able to help you with an outside source module to replace the one that should be in the left hand side where you currently have the PPMs and TX selector. Wiring is easy to replicate once you have the schematics, if you can get the McMurdo connectors." Resolved Jim Smith would be grateful for a photograph of a Marconi filterplexer e.g. Pontop Pike circa 1965. Ken Vickers has provided these photographs, taken at Tacolneston and Divis (click to enlarge). Resolved John Baines writes: "I wonder if it would be possible to identify the valve in the enclosed photographs. I was told that it was a Television TX valve from the 1930’s, but I can’t verify this. It was given to me by my late father-in-law, who worked in BBC lighting at Manchester and Pebble Mill. He said that he thought it was from Crystal Palace." Click the pictures to enlarge them. Ray Cooper writes: "the valve shown appears to be very similar to the RCA type 833A. Mike Craig writes: "Data and picture are here: www.tubeworld.com/833a.htm http://w5jgv.com/downloads/RCA%20833A.pdf http://en.wikipedia.org/wiki/833A It may well have come from CP as I believe this was an area transmission work base. The valve would have been used most likely in an MF transmitter. When I was Caroline's engineer we had these as the intermediate RF drive amp in the RCA 10/5 KW transmitters (Caroline 558 and the infamous SW transmitters)"
Resolved Ian Thompson-Bell writes: "I recently acquired a number of Painton rotary 19 step faders from the estate of an ex BBC engineer. These are unusual faders in that they have a pair of inputs and outputs. With the switch centred both channels are passed unattenuated. Rotating clockwise causes the first channel to remain unattenuated whilst the second is gradually then quickly attenuated up to a maximum of about 38dB. Rotating counter clockwise leaves the second unattenuated whilst the first becomes attenuated in the same as the first did. Both faders appear to be 600 ohm constant impedance bridged T types. I am curious to know what this control was used for. It appears to operate as a kind of pan pot but I suspect it was in use before stereo came to the BBC. Any information would be gratefully received." Hugh Robjohns writes: "I suspect it is an 'echo mixture' control. The echo send path through the pot builds sees progressively less attenuation as the knob is turned up to half way, and then remains at near zero attenuation for the rest or the rotation. The channel path through the pot is unattentuated up to half way, and then progressively attenuated as the knob completes rotation. The idea is to provide a 'perspective' control, where turning the knob increases the reverberation up to half way and then makes the source appear to recede over the second half. Hope that helps!" Nick Cutmore also pointed out the "echo facilities" section on this page. Resolved Tim Barrett has a complete DRD/5 desk that he would like to get back to working condition (not for sale, sorry!) - see the pictures on picassa at https://picasaweb.google.com/petebarrett1. He would appreciate any documentation on the DRD/5 or the GP/4 amplifiers that it uses. He says "we have the BBC monograph from 1956 but it would be great to find some service manuals or circuit diagrams so we can get this beauty working". Information provided by Brian Drummond and Nick Cutmore. 3-Feb-14 Chris Clift is looking to see if anyone has access to a working Sony EV Format 1” VTR (such as a Sony EV 310 or similar). He has a client (Police Agency) who needs a tape from the mid 80’s converting into a viewable format as part of an ongoing investigation and despite researching on the internet, he has been unable to locate a source who either has a machine or is willing to help in this matter. He has already tried (http://www.comgen.co.uk), (http://www.videoark.co.uk/) and contacted the BFI Archive, but to no avail. He is wondering if anyone who looks at bbceng.info might have one of these tucked away somewhere? 1. What are these pulses and what do they signify? 2. Does different equipment or do manufacturers generate a different set of pulses? 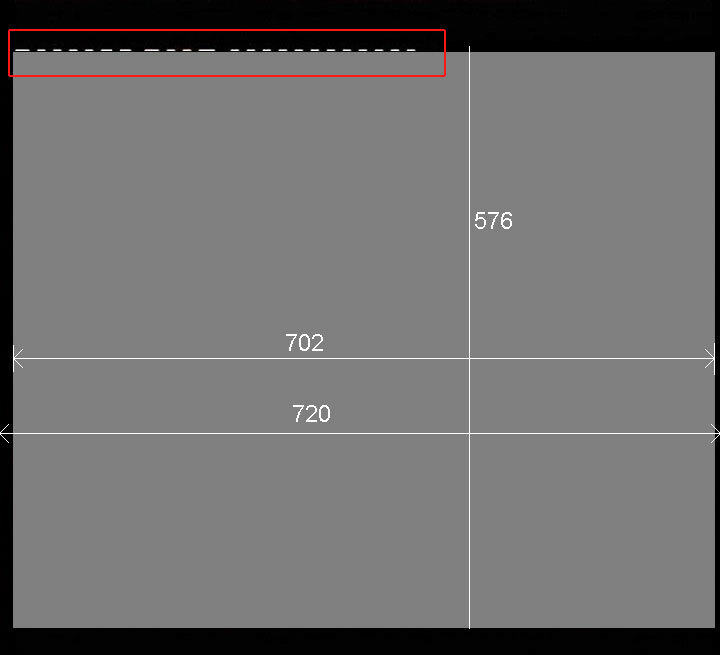 (I have been asked to investigate one piece of video which has, due probably to a copy/encoding error, two different sets of these pulses, the 1st being positioned in the correct place, the 2nd in a blanking period that appeared ¾ of the way into the active picture area, due to the corruption. The pulse sets are different from each other!!!)" *Please note, the composite image attached is a sanitised version of an actual image and as such contains no imagery, only a grey raster. The horizontal dimensions are accurate but the vertical dimensions may not be completely accurate (if you end up measuring them). The image is for illustrative purposes only, but clearly represents the area to be identified. Resolved by Glyn Morgan and Martin Brown. From Glyn: I believe these to be Wide Screen Signalling, WSS. Now we are all digital these should not really leak out for broadcast but often do, especially in news reports. WSS is on just over the first half on line 23. In analogue the active picture did not start until latter half of line 23 but for digital signals all of line 23 is in the active picture. WSS is specified in EN 300 294 which can be found here, or in long form here. There is an item about WSS here on Wikipedia. 16-Apr-13 Huw Williams writes: "I have 2 of AM6/7 & 2 Pye Compression Amp type 842678 in for repair. Just hoping someone has the service manuals or at least the Schematics for these units & would be kind enough to send them to me." Guy Stanbury writes: I've just resurrected a long-term project to restore one of these old beauties (liberated from the clutches of the scrapman when the original 'Moorside Edge Northern Regional' station was decommissioned in the mid-eighties). The TS10 is going through a programme of valve / HT smoothing capacitor replacement and all relevant information is to hand. However, I'm in need of the circuit diagram/relevant Technical Instruction for the Audio Test Meter ATM/1 and wonder if any of your correspondents can help? Photocopying/P&P costs would be reimbursed of course - or if someone within 50 miles round trip of Redditch has a copy they'd be willing to lend me for a few days, I can arrange to collect and return. Bill Jenkin writes "I don't know if any of your web users can help identify the object in the attached photograph. It is on staircase 13 (that's in the central wedge) of television centre. There is a project underway at the moment to photograph bits and pieces around TC in advance of the Beeb leaving the place next year. Peter Sumpter who is taking the photographs has asked users of his facebook group to identify it but so far no-one has come up with a satisfactory explanation. The FB group address is http://www.facebook.com/groups/181934801879075 but it is a private group - only members can see posts, you have to be a facebook user to request membership of the group). Theories are that it is probably something to do with computer graphics of the 80's, maybe for a general election, but why they would need it on the staircase is a wonder." Tim Kennington replies: "The object in question is wall box three which, at the time, was in Computer Graphics Workshop. The staircase at this point was cut off at floor 3 (CAR) so that a room was created on floor 4 (Pres A sound apparatus) and on 5 (CGW). 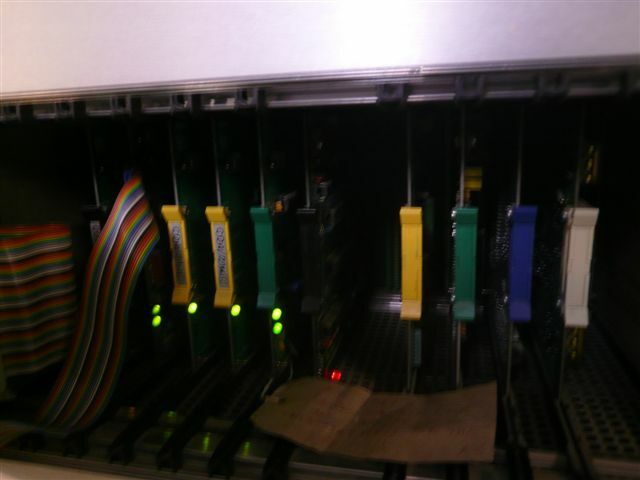 The D25s (RS232) went to terminal servers on the CGW thick wire LAN. 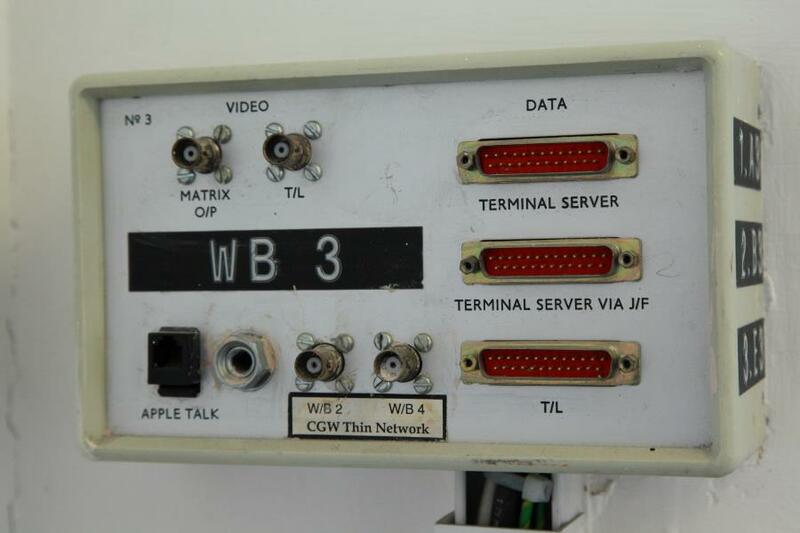 Other connectors are the usual audio and video while the RJ45 carried Apple's Appletalk network." Resolved Victoria Forbes recently purchased a DK419 Mixing Desk in an auction of old equipment. Unfortunately, the faders were removed as souvenirs, and she would be pleased to know where she could get some replacements. Resolved Nick Sharwood-Smith has a couple of LL/106SA line transformers and wonders if anyone has the pin-outs and spec for them. Resolved Peter Neill asks: "When the BBC adopted quadrant, then linear strip audio faders, they chose that they opened as you pulled the fader towards you. The rest of the world seemed to choose the other direction. Were the BBC first and the others contrary or vice versa? Are there good reasons for either choice. The BBC has now adopted the "push" variety, but probably only because they now buy "off the shelf" kit. And, presumably computer controlled desks could be configured to do either. But are they?" Nick Sharwood-Smith: "The idea of the ‘pull’ fader – at least as explained to me, was so that when you accidentally pushed your script against the faders, you closed one or more channels and were immediately aware of the level dropping, rather than accidentally opening several channels and inadvertently putting someone on air. This may, of course, just have been a nice excuse for a choice that was in fact entirely random." "I believe my special projects one-off desks in the 1960s were among the first to use slider rather than rotary faders, and I had to decide which way they should travel to fade up or down. The commercial desks of the day tended to favour UP - away from the operator, and DOWN, toward the operator, as they did in the USA. I adopted UP for OFF and DOWN for ON, simply because our domestic switches do this, the opposite being the case in America. I was very amused to read all sorts of comments in technical magazines, discussing the difference between BBC and commercial practice for sound faders years later, where various theories put it down to "not knocking the script pages as one fades out…", etc. Why I didn't join in the correspondence I can't remember - but you've read it first here. Personally, I much prefer our old steam radio 180 degree rotation faders, with their large and ergonomically correct knobs. Will they ever come back, I wonder? They should! - Johnny Longden"
Jim Tetlow: "You asked why the BBC chose that their faders opened as you pulled towards you. Having been a Sound Engineer with ATV/Central for some 20 years - Neve desks, faders up - I remember being told that the reason why the BBC had faders close as they were 'pushed' was so that, regardless of whether the Sound Director fell asleep through boredom or was quietly drinking the time away, the desk output gently faded as he slowly slid forward onto the desk. I understand that at ATV, as at other companies, the contrary decision was made so that the sudden increase in sound level would instantly wake the Sound Engineer who, I noted at the time, were 20 to 30 years younger than most BBC chaps. Following that amusing note, I now regard this enquiry as resolved. Resolved Holly Hesselgreaves would like to know more about her granddad Frances David Northam, who worked for the BBC in the 70’s & 80’s and passed away in 2002. It is thought that he was an engineer and as he probably lived in East Kilbride, it seems likely that he worked at BBC Glasgow studios or BBC Kirk O'Shotts/Blackhill transmitters. Any help would be appreciated. Resolved with help from Jon Aberdein, Alan Meldrum, Bill Mckelvie and Pete McArthur. Resolved with help from: Doug Morris, Clive McCarthy and Mike Pollock. 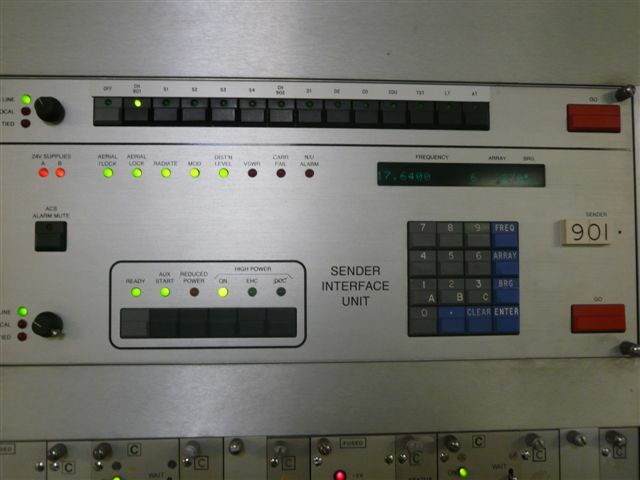 Resolved Herve Cherry (Senior Transmitter Engineer, VT Group, BBC Indian Ocean Relay Station, Seychelles) is searching for manuals or tests procedures to use the test jigs for the BBC TCPD designed sender interface and array interface unit cards. 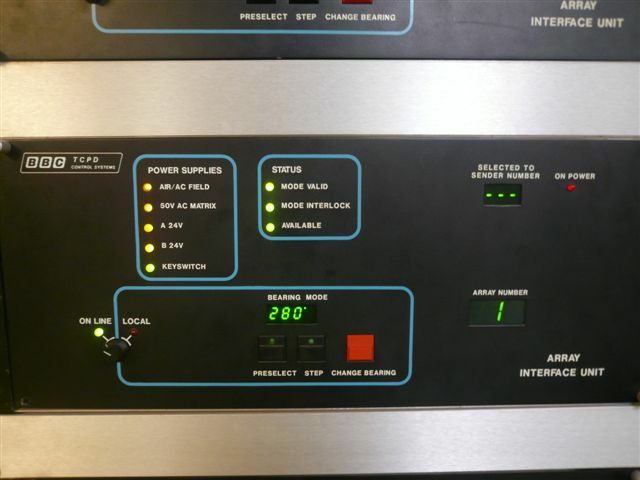 These units form part of the Automatic Control System (ACS). Please note that there are available notes and circuit diagrams for the unit’s individual cards, but no test procedures on how to use the test jigs provided for troubleshooting. The pictures below show the the units that he is referring to (click to enlarge). Any help would be most welcome. Partially resolved with help from Phil I'Anson. 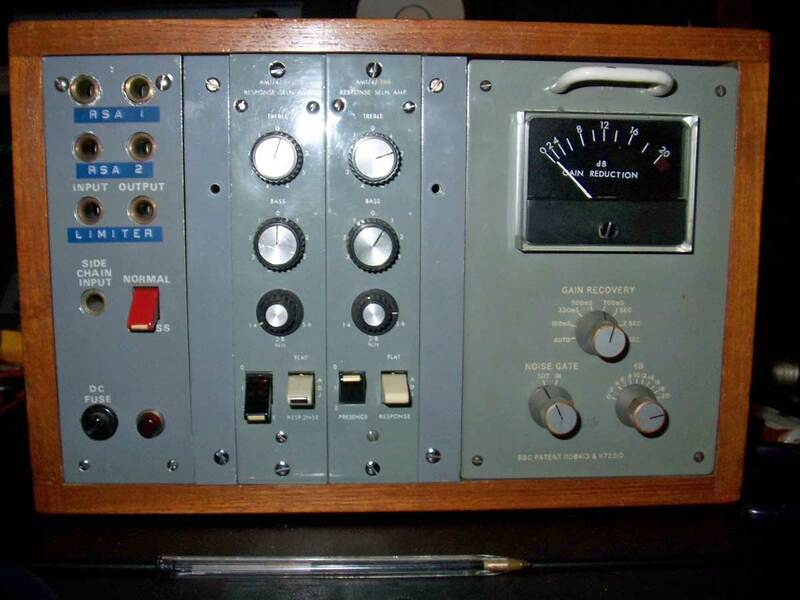 Resolved Dan Sansom says: "I am about to do some restoration on some ex-BBC equipment that I have, and also a couple of old 1960s/70s Bay Frames, and I want to repaint some of it. My question is: what is the specific shade of GREY that these things were painted? I have scoured the web, but I can find nothing definite. Is there a RAL or BS381 number? I read 'Aircraft Grey' somewhere, but I want to be certain. Thanks in advance for any help." Resolved with help from Tony Carter. 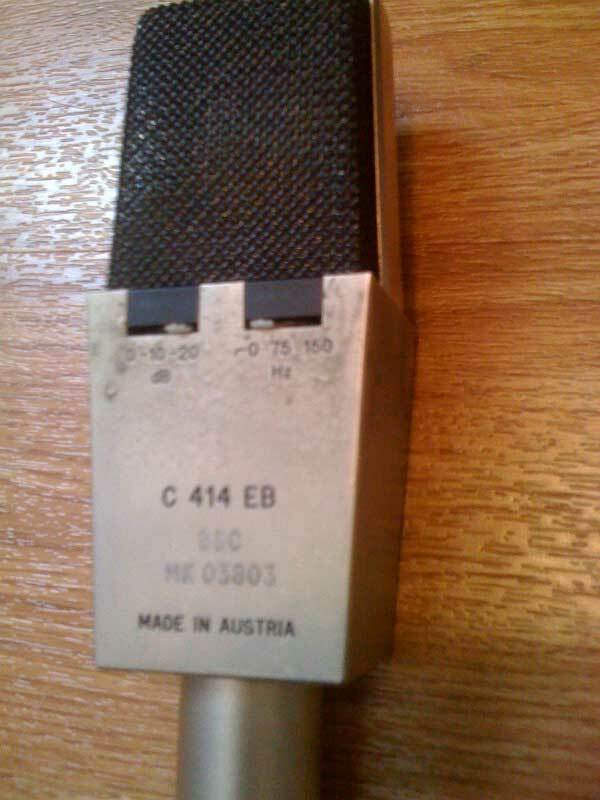 Resolved Ahmed of Studio 1999 says: "I recently bought an AKG C414EB microphone and it appears to be ex BBC. 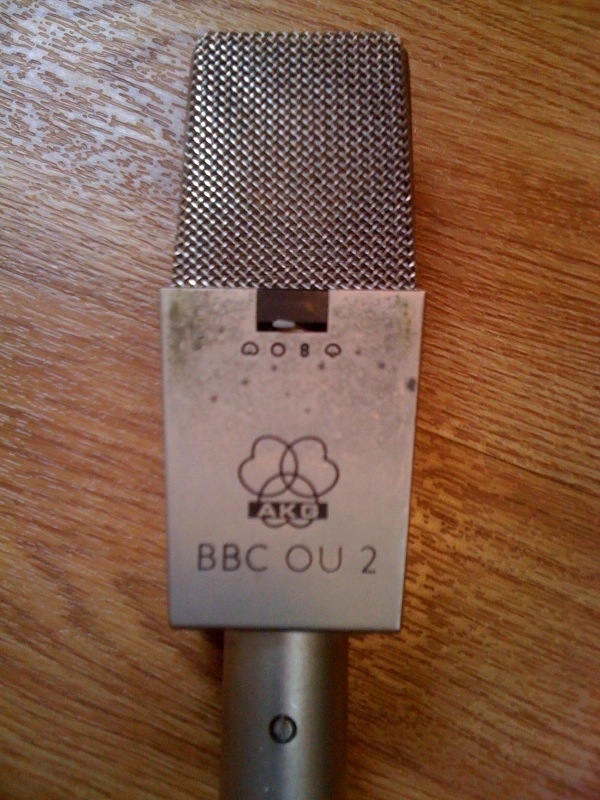 It has 'BBC OU 2' engraved on the front and 'BBC MK 03803' on the rear. If it is ex BBC is there any way of finding out any history on the mic.? Photos attached. Thanks". Partially resolved with help from Richard Brooks. Resolved Lee Gardner is seeking Grams such as EMT 950/948/938 for the construction of a functioning 1990’s style radio studio. The project is intended to replicate a Radio 2 transmission suite studio (1G, 1H, 1J) as they were after the 1993 refurb. He would be most grateful if you could point him in the right direction. Resolved with help from John Meredith. Resolved Dan Goldfarb writes: "Until 23 November 1978 (i.e. 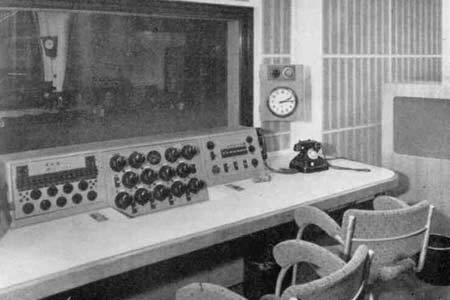 on the implementation of the Geneva Plan), the BBC used at least one 10kW AM transmitter at BARTLEY. 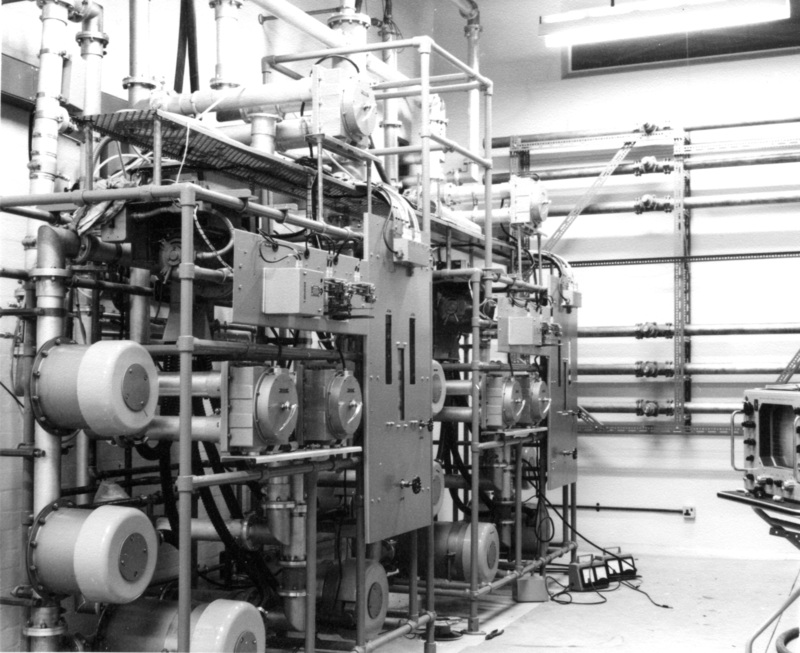 I understand that there was even an engineering maintenance unit based there." "Is it possible for a retired engineer or BBC records to give either Geographical Coordinates of where the transmitter site was or else what road is nearest to it?" Resolved Iain Elliott (Chairman, Bristol Hospital Broadcasting Service) writes: "Hi I've just been browsing some of the BBC pages and found your request for Painton Faders. We have an old EMI type 903 desk circa 1962 with all the bits. We don't use it now and would like to dispose of it to a happy home. It was originally installed in the TWW studios in Bristol, they then donated it to us (Bristol Hospital Broadcasting Service and we used it in our OB vehicle. The meters are missing but all the channels and groups are there. I also have more or less complete circuit diagrams." Contacted by Ahmed of Studio 1999, see next item. Resolved Ahmed of Studio 1999 says: "I am building a vintage EMI style mixing console and looking for the following parts. Painton Quadrant faders and Ernest Turner 701 and 702 meters. Please can you put my request on the site." Contacted Iain Elliott, see previous item. Resolved Tom Giles is looking for schematics for an AM6/18 Limiting Amplifier and an EQ3/27 Octave Equaliser. He has contacted the BBC to get schematics or service manuals for these 2 units but no joy yet, so any help would be appreciated. Resolved by Mark Timlin. Details available on request. Resolved Paul Strickland is looking for old frequency standard equipment to display at The Time Machine. He would like to know who dealt with such matters in the BBC and what is happening to the frequency standards of the 'old' analogue transmitters. Resolved Chris Maxwell is seeking details of the design of the old now long demolished Third Programme / Radio 3 Medium Wave Mast that used to be at Dodford near Daventry. This 725 feet high split mast radiator operated on he believes 464 Metres – 647 KHz. He is particularly interested in the feeding arrangements of the two sections and the theory of it’s anti fading design. Any information would be greatly welcomed. Resolved with help from Clive McCarthy, Ray Cooper, Richard Lamont, Russell Barnes and Terry Beswarick. 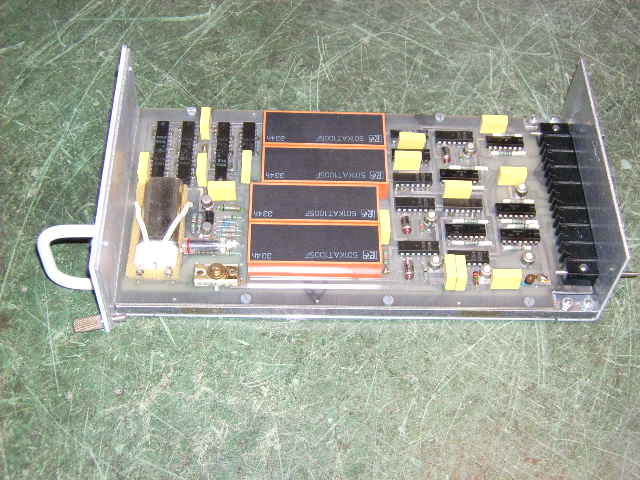 Resolved Geoff Atkins has just acquired a couple of BBC wire-ended audio transformers, type LL/88ASC, and would like to know the spec and the colour coding of the five connections. If anyone could help he'd be very grateful. Reply from John Phillips: I have found the following listed in Registered Designs and Coded Equipment Volume 2 dated April 1966:- Impedance ratio 1/1, 600/600 ohms. Colour codes for lead-out wires :- Highest impedance winding start = yellow, finish = blue. Next highest impedance winding start = red, finish = green. Screen = black. The usage is listed as General Use. Hope this helps. I knew my archives would come in useful eventually! Resolved Peter Linzey is seeking information about this station near Stranraer 54.55N 05.10W which was built around 1942/3 to contain qty 2 ST&C CM8 LW 10kw broadcast transmitters, together with 4 off 315’ steel stayed masts arranged star formation, with aerials slung between them . He says that they appeared to be well pre-war designs, Litz wound coils, watercooled valves, frequency around 120khz, and never appeared to have been used. The station was occupied soon after by the USAAF signals who put their own gear in for air traffic purposes. Peter worked there 49 to 59, employed by Min of Civil Aviation, and eventually the CM8s were used for RTTY testing with BOAC aircraft. What was the reason for the station being built [around CM8s]? Did the BBC have any requirement/involvement? Peter is trying to write a history of the ‘early days’ of the unit, and this question is a major stumbling block. Any help would be appreciated. 30 May....I’ve now had a bit more news from our Estates Branch [whose records don’t go back far enough to be much use to me] to the effect that after the Air Traffic service from Galdenoch closed in mid-1970, the BBC had a ‘sub-let’ from NATS/CAA for a couple of years, and operated from the site. Have you any idea / can you point me where to ask what the BBC were up to? Doug Jordan explains: "It was a reserve in case either Lisnagarvey or Londonderry (can't remember which) took a hit during the terrorist campaigns. It was a T fed antenna and the transmitter was housed in something similar to a horsebox, if you want more info contact me." Resolved Ahmed of Studio 1990 says: "I have a small rack containing 2 BBC AM1/4 RSAs and 1 AM6/8 limiter. I need them serviced but my engineer needs diagrams. Can you help me locate these diagrams? I would also be interested in what their original use would have been? I am using them as part of my recording studio setup as I love the sound of them and would have more if I could find them!" Partially resolved with help from Geoff Atkins. Resolved William Blankley would like information on the TS10 and the associated Amp-Det. He wishes to build a modern version as he suspects that he will never find the originals at an affordable price. In particular, what was the circuitry around the 6BA6 meter-driver valve? Also, has anyone got a spare LL106S rep coil please? Information on TS10 provided by Geoff Atkins. Rep coil offered by Keith Orchard. He is curious to know if these are made by the BBC or somebody else - there isn't much information on them. Aside from a few videos on YouTube about Radio 1 that's all there is. Resolved with help from Jim Harpur, and John Meredith. Resolved Trevor Carter is in possession of a couple of reels of original high quality, master, audio recordings of computer sound tracks from the 1980's. They are on 10 inch spools and recorded in stereo. He would like to convert these analogue recordings to digital media for use in present games software but does not have access to a good quality stereo reel to reel tape deck to play them back on. Does anyone know where he might find one or of any BBC professional means of doing the job? Trevor works in education and would be willing to engage in the task as a school based project for young people. Resolved Patricia Hunt Chase would like to get in touch with Brian Fitt. She may be a distant relative of his from the States. Brian is mentioned in Eng Inf No.11 as he was SCPD project leader for refurbishment of the Greenwood Theatre starting in 1979. Resolved Brian Summers (G8GQS, www.tvcameramuseum.org, ex BBC outside Broadcasts) writes: "As part of my camera collection I have a GE6M/564 general purpose picture store. It is a 4U high "silver unit" and it is in good condition and works well. The picture stored in the unit's EPROM's is the Eurovision identification logo. In addition it makes colour bars and a few other test signals. As I would like to keep this as part of my working collection I would like to acquire some information, the handbook and circuits. It's certain to stop working one day! I am also interested in details of the EPROM's and if it is feasible to program other pictures. Has anyone else got one?" 1. The EPROMs are described in the EDI sheet as '128 k' which is somewhat ambiguous because it could mean 128 Kbits (i.e. the devices would be 27128s) or 128 Kbytes (the devices would be 27010s). It should be easy to determine which they are, because a simple calculation suggests a Rec.601 frame would require around 64 of the former but only around 8 of the latter. 2. It should certainly be feasible to program other pictures into the device (always assuming a suitable EPROM programmer is available) although the data format might be difficult to determine, especially if no circuit diagram can be found. I would caution that there is a possibility it needs Cb and Cr data separated by 74 ns rather than the co-sited samples specified by Rec.601. If so an interpolation process would be required as part of the data preparation. Regards, Richard." Partially resolved, as various contacts have been made regarding BBC vehicles. Entry moved to this Expired/Resolved area to save space in the Current area. Phil Upton writes: "I have only just discovered bbceng.info and have been very intrigued by the items regarding Eagle Towers. I am sorry I missed the original enquiry from Neil Bennett as I would have replied instantly, although I could not have improved on the excellent account given by Jeff Longbottom. I too possess a treasured set of Dinky OB vehicles - models of vehicles still in use during my time on O.B.'s ! However, I was particularly interested in the reference to the two 100ft. towers mounted on the Leyland Lynx chassis because I, for my sins, was project manager for the design and construction of those vehicles, a two year nightmare when I was with TPID/TCPD Links Unit. I have long wondered whether anyone, anywhere, has had the brains to preserve one of the original 60ft. towers which were the backbone of Tel. O.B. 's for so may years. I have a presence in the commercial vehicle preservation world - my pride and joy is a 1927 Austin 7 delivery van - and at rallies I regularly see preserved GPO, RAC, AA and municipal vehicles but NEVER a BBC vehicle. The nearest was a beautifully restored flat bed truck whose registration I recognised - one of the RXX series which were in the BBC fleet for years. It was originally a film unit generator vehicle but was sold minus the generator and the current owner has done a lovely restoration but of course it is not in BBC livery. I briefly became Acting Assistant Transport Manager after TCPD and it was part of my job to dispose of redundant vehicles. I had to do so under some fairly stringent rules laid down by the BBC Governors designed to prevent ex-BBC vehicles falling into the hands of serving staff which, the Board believed, could have led to accusations of sharp practice. As a result, all vehicles went to open auction and I suppose they just melted away into the second-hand market. Does anyone know of any BBC vehicle which has escaped into preservation - especially an Eagle Tower!" "I have just read the note from Phil Upton regarding Eagle Towers. I worked for BBC Comms Dept London for many years including attachments to Radio Links in Manchester and Birmingham and frequently worked on 60ft Eagles. I also had an attachment to TCPD working for Phil and spent many months at Brookmans Park helping to put together the first 100ft tower, he may remember me. I have also wondered if anyone had the foresight to save one, I am still trying to find a Dinky model in reasonable condition, in fact a search for that led me to the BBCeng.info site. When working on Match of The Day in the North, I was always impressed by the Granada Eagle Towers as they were so much shinier than ours as well as having chrome wheel trims! They always turned up in pairs as apparently an OB was once lost because the tower could not be erected. Following an accident one of the Manchester Eagles had its cab replaced by one from a 'Green Goddess' fire engine complete with flashing lights which of course were never used! After 11 years at the BBC I left to become Chief Engineer TV-am and held a similar position at Channel 5, I am now helping the BBC with their HD channel." Resolved Dennis Johansson has in his possession an old and not very common BBC made compressor. It is called "Audio Limiter Mk II" and has the serial number 13. He has asked a few BBC people about it before but no one knows what it is. Could you maybe shed some light?? It has the same inductor "delay" board as other BBC comps as AM6/7 and AM6/17. You can see a picture of it here. A contributor has pointed out that there is a discussion on the BBC Audio Limiter MkI in a BBC monograph, published October 1967. There is a picture of the experimental unit on page 14. John Trenouth, who's sorting the BBC's Heritage Collection, has come across an unknown microphone and wonders if anyone can help. "It looks like a “one-off” and as such I suspect it’s a BBC made one. It’s beautifully made, a capacitor microphone with a capsule about the size of an AKG C451 capsule. It has a miniature “apple & biscuit” arrangement on the end of the body which is about 7 inches long by 1&3/4 inches diameter. The body is silver plated (real silver) and is removable (by depressing a latching pin) to reveal the insides. The electronics comprise an EF40 with encapsulated resistors & caps. The capsule remains inside the body, removable by unscrewing the top end of the body. There are no markings at all on the microphone except a small engraved arrow to help align the body with the latching pin. Surprisingly the connector is a 3-pin XLR (with an additional screw fitting – like an oversized inside-out tuchel!). I assume that pin 1 is earth, pin 2 is 6.3volts for the heater (must be DC?) & pin 3 is HT in & signal out (assuming that the anode resistor is in the (missing) power supply). Somebody must recognise it. There is a very faint suggestion that it may have been designed as a “Royal” microphone." John Trenouth discovered (not via bbceng) that it was made by Philips. It has an omni pickup pattern & was apparently much liked for single microphone orchestral pickup. The capsules were slightly variable (ie inconsistent response between “identical” microphones) and the connector was unreliable. It had to be used with a dedicated filter network. Resolved Brian Moran is seeking a part for a PYE 84 4060 compressor/limiter and thought that there may be a similar part that has been used in some other BBC equipment. The part he needs is a Painton attenuator. The part number he has is 'G.S102784/763'. Any help would be much appreciated. Resolved Richard Barnes would be very pleased if someone could let him have a circuit diagram for the AM6/14 "delay-line" audio limiter. Unfortunately this circuit is no longer held by BBC Research. This limiter is in an "imperial" (white-fronted) chassis 3U high and 2 BBC Units wide. 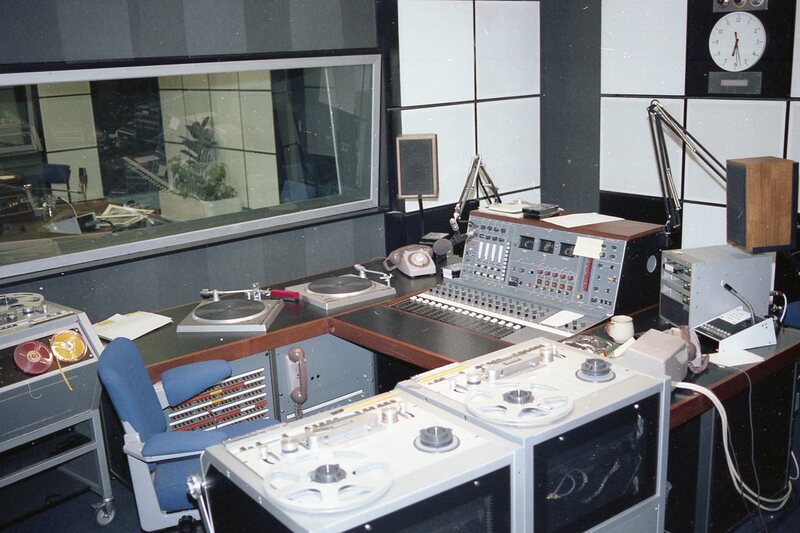 It was used in local radio stations in Leeds, London and Manchester, plus the desk in the Langham Local Radio Training Suite, which was later transferred to Radio Sheffield's Cubicle 2. None of these desks still survive. They were very good limiters, better than the the later BMM series, but the circuits seem as rare as hens teeth! He is still kicking himself for not liberating a copy of the circuit when Radio Leeds moved, only a couple of years ago! Response from Richard Barnes: "I have now received the service manual for this unit, including the full line-up details, from Brian Summers at the TV Camera Museum. I also had an offer of help from Mike Davies, and Brian Moran put me in touch with a guy in Denmark who sent me what he had. Altogether a very satisfactory outcome. Many thanks for your help, all power to your website, and a Happy New Year!!!!" Subsequently, an offer of help also came from David Porter. Resolved Sean Cooper has a request regarding the MF site that never was ... at Cromer! He has found out some information about this former Home Service site (e.g. it was actually at Hempstead near Holt, Norfolk), but would love to hear from any website visitors if they have any info, plans, logs, photos and/or stories of this site, however small. He is particularly interested to know what frequencies were used, when they were used, any transmission specs and when the site was finally closed down and dismantled. If any one has any of the BBC Radio Transmitting Station Handbooks from over the years (mainly 1950 to 1988) he would particularly love to hear from them, or even have scans of details about the 'Cromer' site. Resolved with help from Hadrain Jeffs and Martin Brown. Malcolm Jones was at KEF from 1961 - 74 and is writing a book on the early days of the company. He will be writing about the LS5/1 and LS5/1A as they used to build some and converted them into the active version LS5/1AC. He is interested in the differences between the 1 and 1A. Any information would be appreciated. Resolved with help from Richard Carruthers. Neil Bennett is interested in the BBC television vans with elevating outside-broadcast aerials, referred to in the journal "Engineering" 11 Jan 1963. The elevating structure or ladder was made by the famous Merryweather & Sons company, which he is researching. 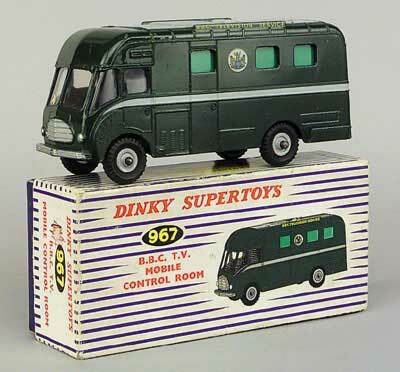 It is likely that the DINKY TOYS model no. 969 ("TV Extending Mast Vehicle") was based on this (and he has an example). It looks a bit like a Green Goddess fire engine. Can you share with Neil any information or pictures on the 'real' version of the Dinky model, and (if different) the van(s) with Merryweather components? Also, he would love to know where the 'rotting' vehicle is. Neil has provided these three pictures of Dinky models of BBC vehicles: the Extending Mast Vehicle, Roving Eye Vehicle and Mobile Control Room (from Vectis Auctions website). Information on the 'real' version of all three is welcome, but can anyone confirm or expand on Merryweather's involvement? Merryweather & Sons did supply such vehicles to the BBC but only up to 1951 and in view of the fact that the original one on which the Dinky model is based was not put into service until after 1952 then this does not apply. The vehicles on which the model is based were in fact built by Eagle Engineering of Warwick and somewhere in the region of ten units were eventually supplied to the BBC over the next five years. Identical examples were also put into service with ATV and Granada and were known within the industry as 'Eagle Towers'. In the case of those supplied by Merryweather, the original examples were provided on loan, the first such one dating from 1937 and was just a basic fire appliance to which an aerial was attached at the top. The first custom built model was put into service in 1938 and had an enclosed body mounted on a Albion coach chassis with the mast being capable of being raised to a height of 80ft. No further developments took place until after the war when a second example based on a Fordson 4X4 vehicle was purchased from the MOD in 1951. Two further examples were obtained from Merryweathers in 1951 which were rather more sophisticated in that they had aerials which could be raised to 100ft and also incorporated a transmitter and generator. These also had enclosed bodies and were based on AEC Regal coach chassis and were known as PTAs (Power Transmitter Aerials) and were to be the last purchases from the company. 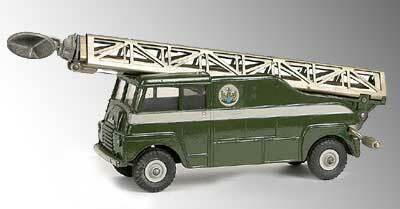 As mentioned above all future purchases were to come from Eagle Engineering with the common factor of having 60ft 3section triangular masts mounted on Bedford 4x4 chassis and this became the standard model. The final versions of this type of tower were supplied in 1973 on Leyland Lynx chassis and differed in the fact that they had 100ft towers. Future purchases came in the form of Simon Engineering hydraulic hoists and as before were operated in both 60ft and 100ft versions usually mounted on Leyland Freighter or Constructor chassis. Nowdays of course there is no requirement for such vehicles as all transmissions are uplinked via satellite from van mounted dishes, commonly on Mercedes Sprinters. All three Dinky models are faithful representations of the originals. The original of the Extending Tower was put into service in 1952 while the Mobile Control Room is based on a batch of four Bedford vehicles put into service in 1954. The third model in the set, the 1956 Karrier Bantam based Roving Eye was a second version of this type of vehicle operated by the BBC and was designed to be operated 'on the move' using two cameras. One camera was mounted on a gun ring on the roof with the second one mounted in the passenger position in the cab area to provide a view through the side, hence the enlarged passenger window. It also carried an onboard generator and had a pneumatic mast capable of being raised to a height of 45ft (but not while roving !!!). 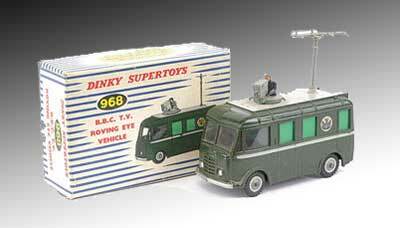 Surprisingly, Dinky never modelled the fourth type of vehicle employed on outside broadcasts, the radio links van although two models in the set, the control room and roving eye, were later produced in the colours of ABC Television as a control room and a links van even though the company did not operate these original versions. 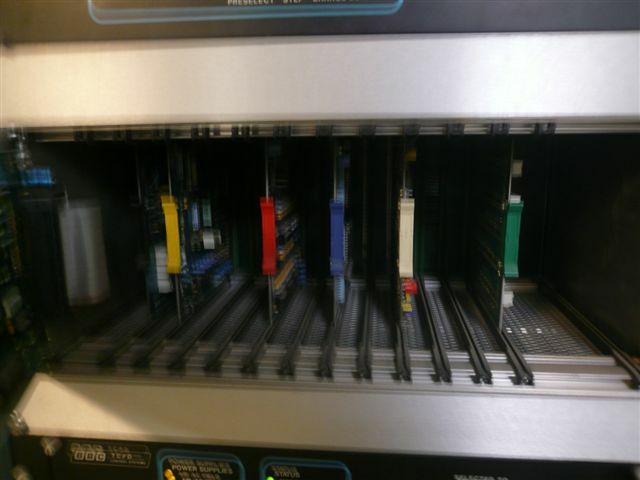 Resolved Marnix Bosman has found a complete rack carrying AM7/11, AM7/12 and AM7/13 units and he would like to get them going again. Therefore he is looking for the schematics or the pin layout and hopes there is somebody able to help. Information provided via new arrangement with BBC (see next item below). Further information offered by Mike Davis and Richard Barnes. Resolved Pablo Kahayan repairs and restores equipment for professional recording studios in Spain. He has two AM6/21 and two UN4/6 units to repair and he is seeking information, in particular schematics for the UN4/6. Information provided via new arrangement with BBC, as reported on Home page and copied below. Further information provided by the designer, Mick Gleave. Resolved Andrew Dart would like to know the name of the young lady in the attached photo. Her picture appeared as a single frame in the leader of many films in the 1970's and earlier, and apparently she was well known to the engineers of the BBC. 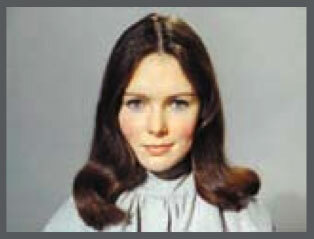 Lynn, the young lady on the make-up chart, was a secretary in TV Training Department during the 1970's. TV Training was then based at Woodstock Grove and there is an article about it in the July 78 edition of BBC Engineering (page 5). Subsequently it was the first department to move to the Elstree Centre. Lynn came third in a Miss Great Britain contest shown on TV and this may have been the way she got the job of posing for the chart (which must have come in to use around 1976/77 at the earliest). Resolved Tom Goulet is seeking information or the Technical Instruction on LSU/10 loudspeakers as shown in the pictures below (click to enlarge). He is specifically interested in the Pamphonics drivers the BBC used in them. I have managed to track down D.E.L.Shorter's paper "Loudspeaker Cabinet Design" which I remembered seeing, and had (wrongly) thought had appeared as a BBC monograph. In fact it was published in two parts in the November and December 1950 issues of 'Wireless World". Moreover, I have managed to acquire originals and copy the relevant pages for you. Somehow the words 'research' and 'amplifier' had become connected in my mind concerning the integral amplifier housed in the cabinet. The name Leak also lurked in the background. All can now be revealed! Some LSU/10s did incorporate a Leak "0.1" amplifier (in its first and best incarnation using KT66 output valves). Fortuitously, this is confirmed by a Leak advert. in the same issue of Wireless World which shows a photo of an LSU/10 cabinet with the side cover removed to expose the amplifier. So where does the word 'research' fit in? It was not actually BBC research but the GEC research labs in Wembley. 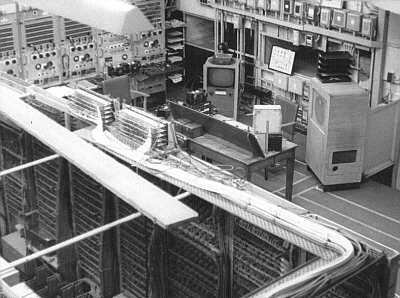 That is where the prototype amplifier was designed, and Leak were employed by GEC as a wiring-shop to build a batch. Subsequently a deal was struck whereby H.J.Leak marketed a simplified design as their own "0.1" amplifier. Thus early LSU/10s may have had a mixture of the original 'research' amplifier and then the subsequent commercial Leak amplifier. Shorter's article (along with many others of that period of Wireless World history) makes fascinating reading. He points out that to apply resistive acoustic damping, you have to position the damping material at a point of high air velocity, and that it is a complete waste of time gluing felt to the cabinet walls which are nodes. I recall that Hugh Britten took note of the physics in his design of enclosures for the GEC metal cone loudspeaker. Since then, enclosure designers have largely ignored the laws of physics, and persisted in putting damping on the walls of the cabinet! It is amazing how often art, craft, and science is forgotten; only to re-discovered decades later! Oh yes! BBC Equipment Department get a mention for building the cabinets which were in two parts, with the carpet-felt damping material stretched across an interconnecting aperture. (That's how 'carpet' got retained in my memory). The cabinets could be puchased from Lockwood. So there you have it! "David Birt's response to Tom Goulet's post is interesting. 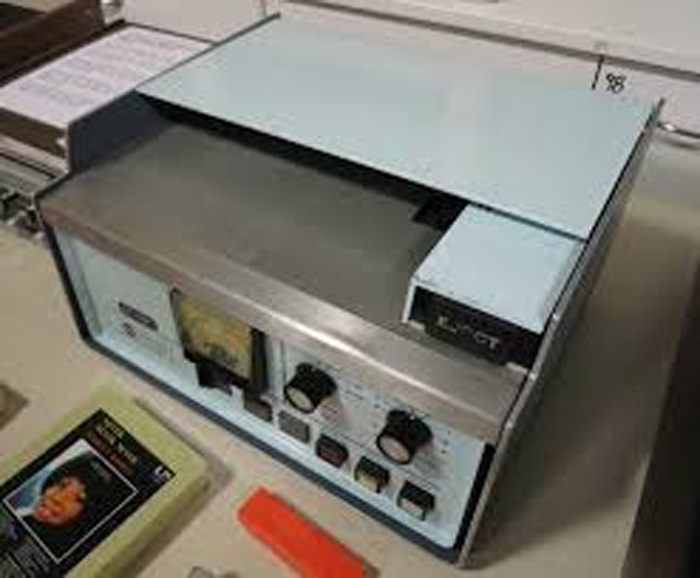 I am not sure where the Pamphonic amplifier crept into the equation but I have heard this before; Pamphonic made quite nice domestic equipment but it was not up to the fidelity standard required by the BBC. What I found particularly interesting was the genesis of the "Point One" which I had always thought to be a Harold Leak original. The GEC involvement is consistent with the DSIR not being able to measure the harmonic distortion to the degree of accuracy claimed by Leak when the equipment was launched on the market! Another fallacy, this one much more widespread, is that the LSU/10 and earlier monitors were fitted with Tannoy drivers. As far as I have been able to determine, this never was the case. Mr Shorter's LSU/10 was the last of that particular line which started before the war as the LSU/1 with a Wharfedale driver. Subsequent variants of this early bass reflex cabinet were fitted with Rice Kellogg units which, in turn, were supplanted in the early 'fifties by a Parmeko dual concentric driver, known within the BBC as the LS/1 drive unit. This had a 3" diameter voice coil and 1,75" aluminium horn loaded dome tweeter with crossover at 1200Hz. This arrangement, adopted in 1952, was a bit thin in the mid range supposedly due to problems integrating the horn with the large woofer; nor was it wonderful at the top end - a characteristic not much in evidence before Decca's FFRR revealed all sorts of audio shortcomings. Additionally, noise generated by the 405-line television manifested itself at a bit over 10kHz and occasionally this would find its way into radio broadcasting. Since the Parmeko unit dropped off fairly rapidly after 7,5kHz, this interference could not readily be detected in the studio so it sailed off blithely into the ether. Since it was all AM in those days, I don't suppose many people noticed but the Beeb was always a stickler for quality. The HF deficiency of the LS/1 was disguised by the fitting of a Lorenz tweeter, often bolted to the expanded metal front grille! The LSU/10 was pensioned off in 1962 and superseded by the LS5/1 - a horse of very different colour having a 15" Plessey and two GEC plastic dome tweeters. That Tannoy Dual Concentric drivers were never fitted in this application is something I find a little strange, given that the Tannoy was streets ahead of anything comparable and the driver of worldwide choice for just about every quality monitoring system. Perhaps there was a political element to this as Jack Houlgate had left Tannoy to work for D E L Shorter in R&D. 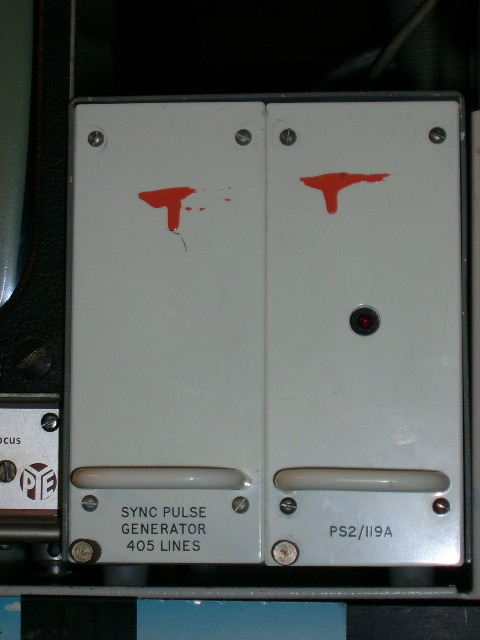 David Dunmall (SCPD engineer until 1992) is seeking information about a one-off 405-line sync pulse generator as shown in the pictures below (click to enlarge). It is believed to have been used to drive a breakdown caption generator at North Hessary Tor. "MWA SPG" is etched on the circuit board, which suggests that someone with the initials MWA may have been involved. As a result of the notice above, help came from Maurice Lovelock who identified the designer as Mike Axford. Then, after help from Phil Marrison and BT Directory Enquiries, David had a very interesting chat with Mike and learnt the history of the SPG. David commented that "It is so professionally built that I had previously thought that it was a Designs Dept. prototype that was never put into production".